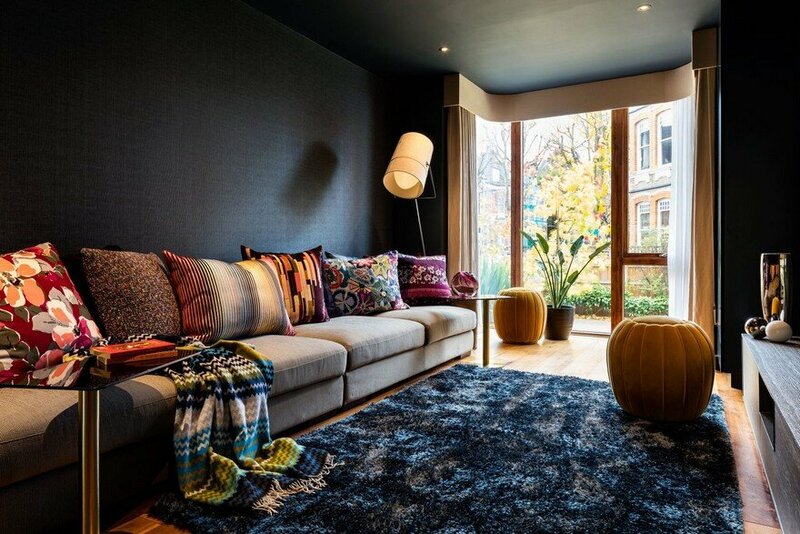 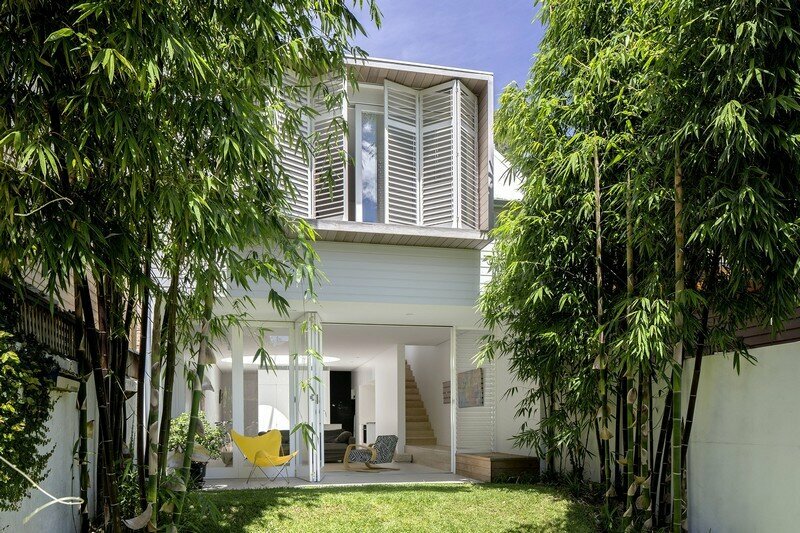 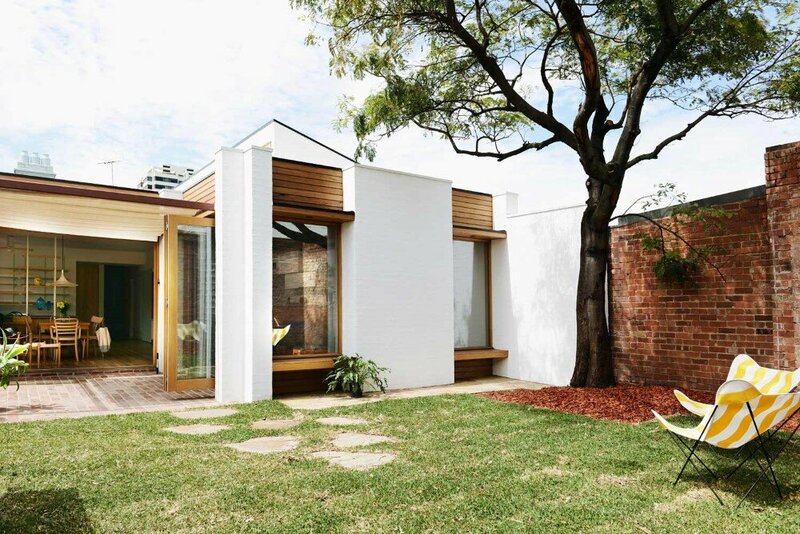 A huge amount of volume and light were freed from this compartmentalized 1970’s house. 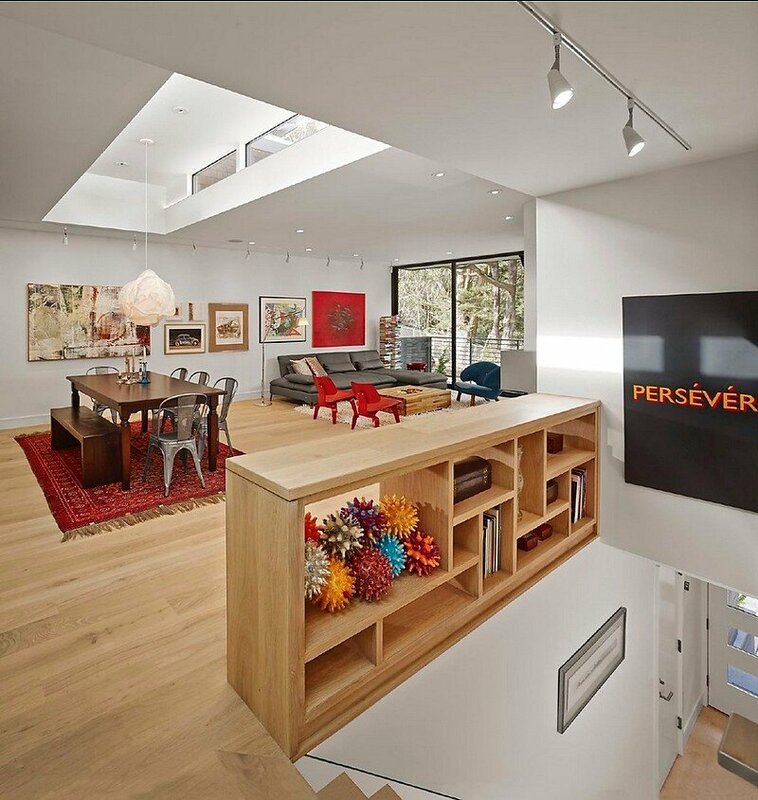 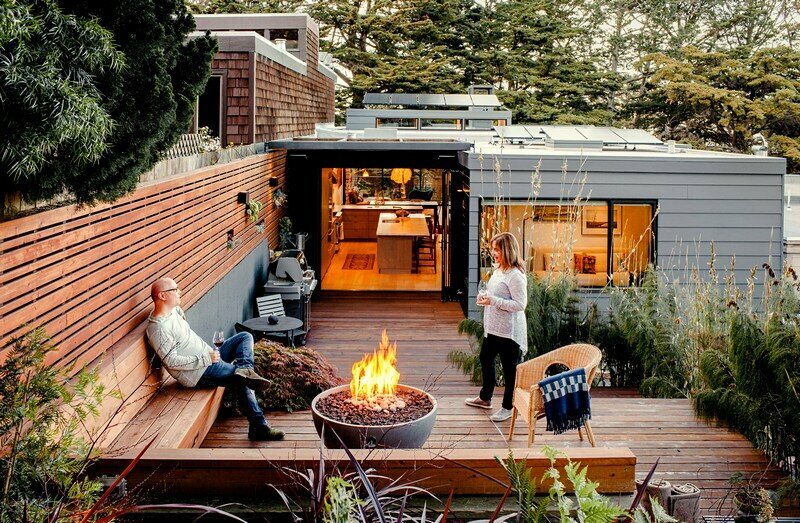 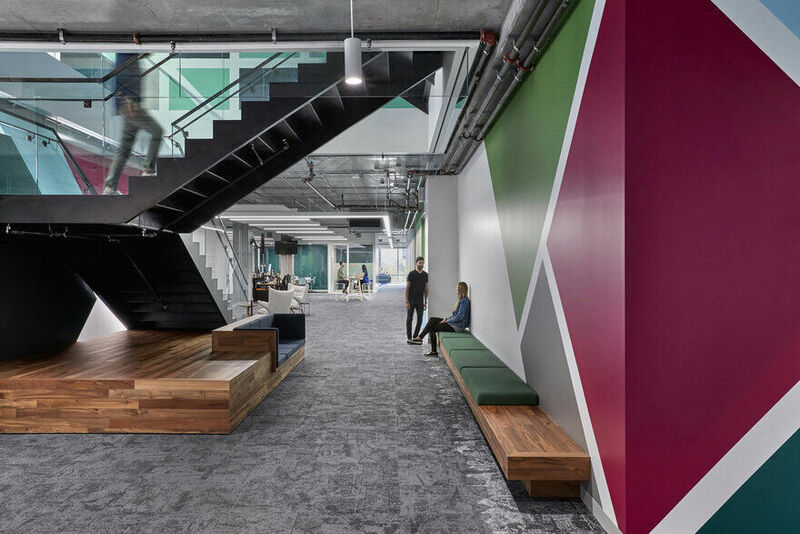 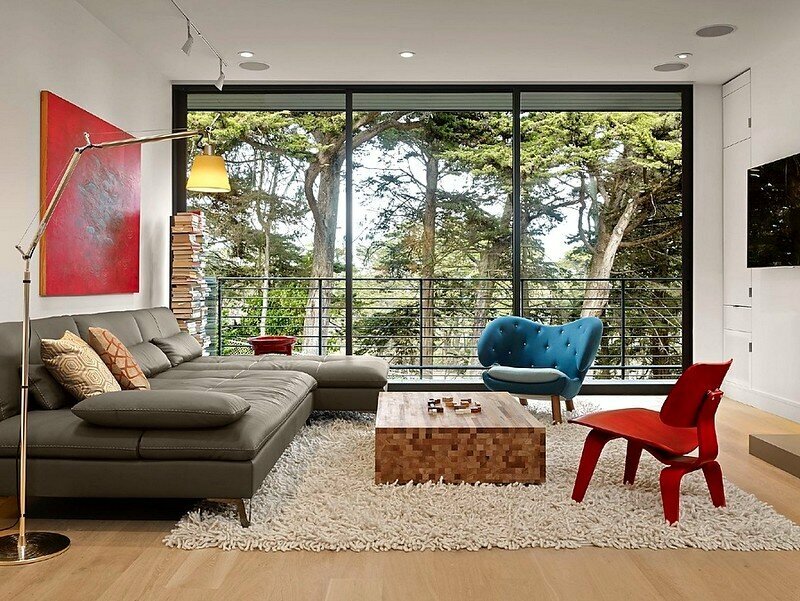 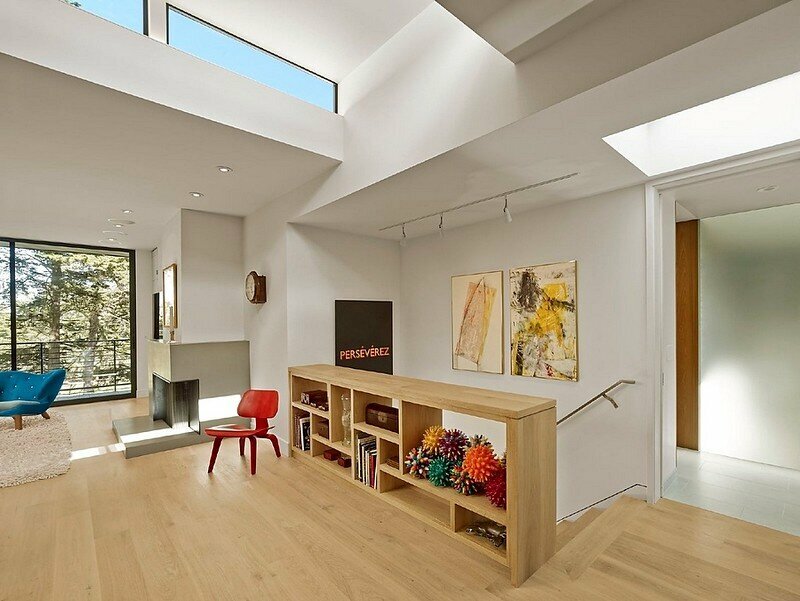 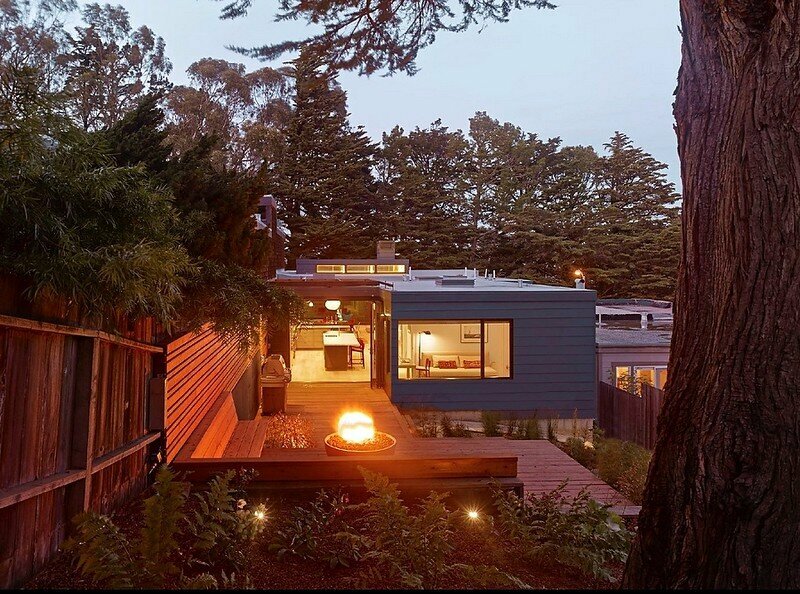 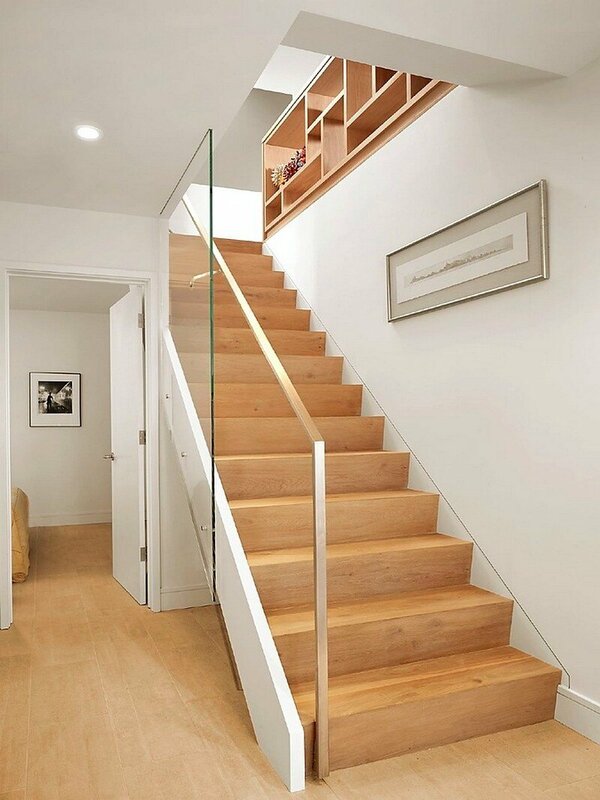 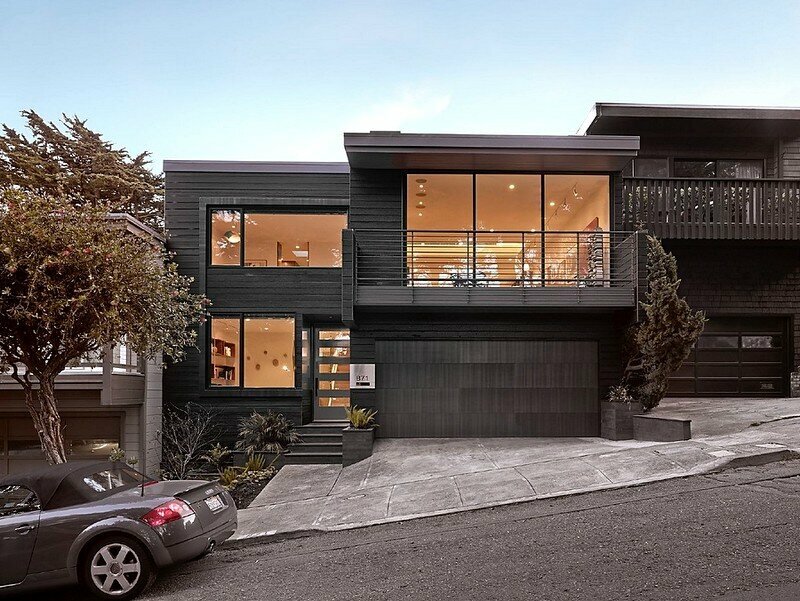 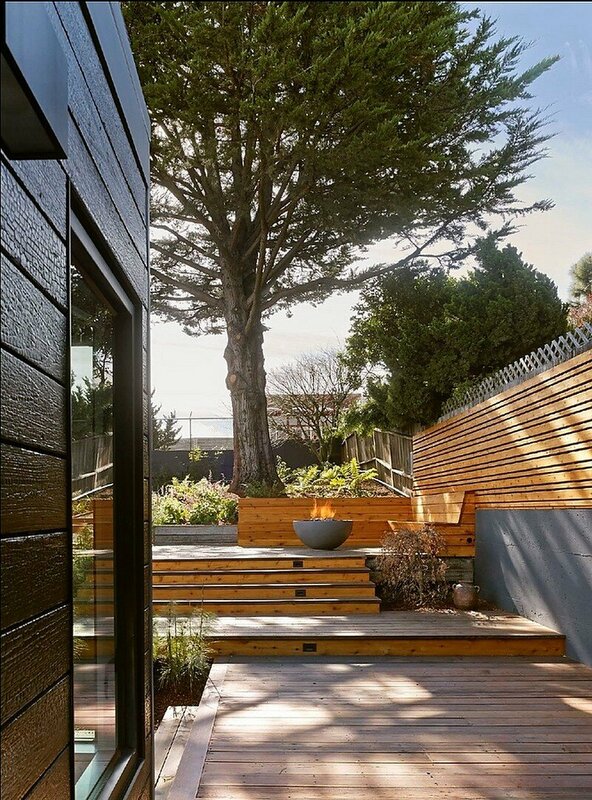 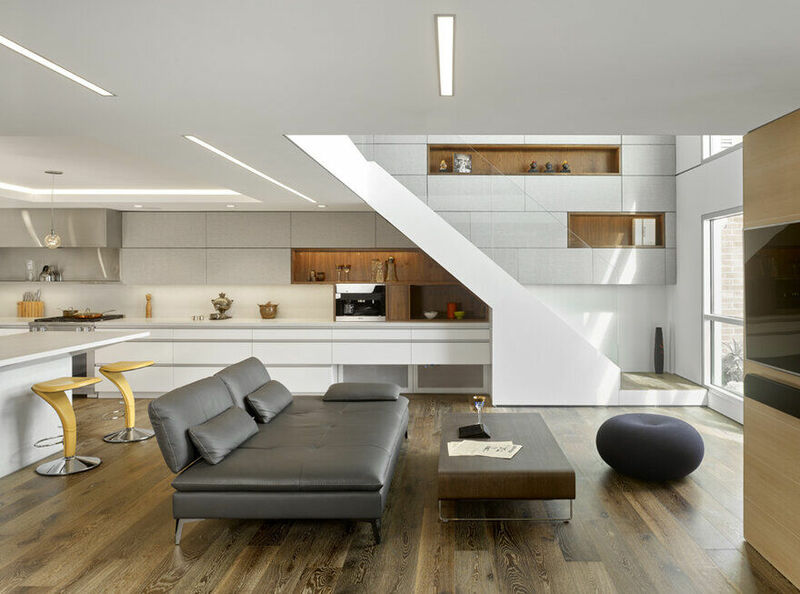 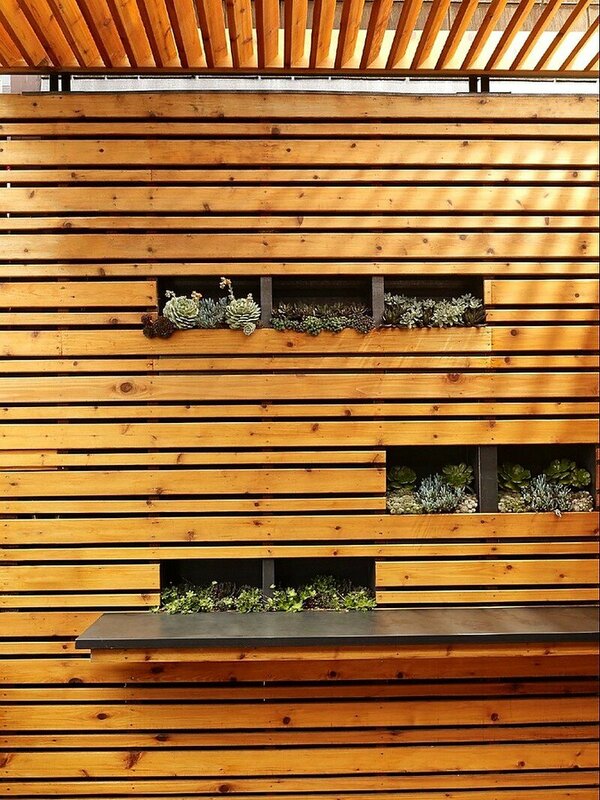 Situated in Noe Valley, San Francisco, the Douglass Park House has been renovated recently by Azevedo Design. 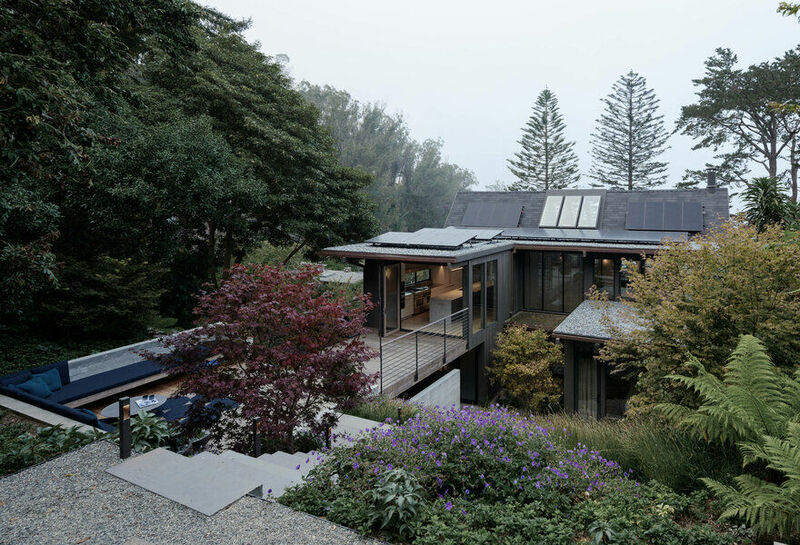 The main living space is a long rectangle that stretches from a front deck overlooking cypresses to a two level patio with a view of the bay. 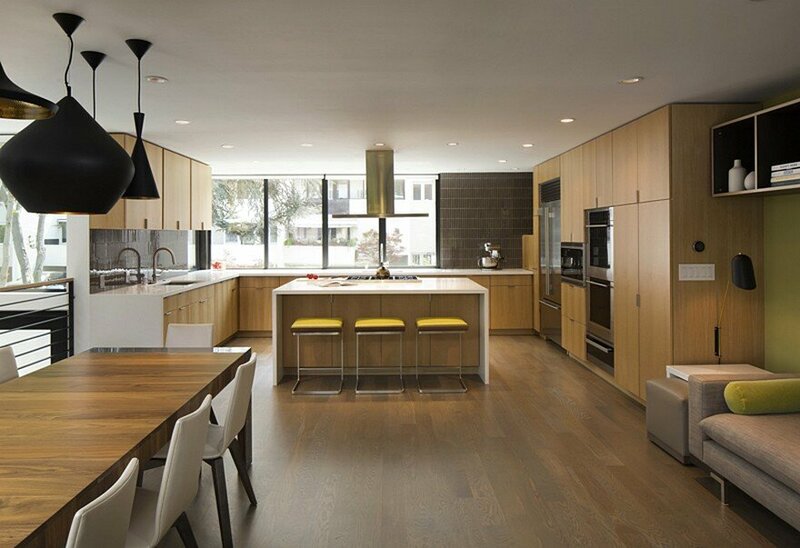 A light monitor illuminates the center dining area and adds to the subtle variety of ceiling heights. 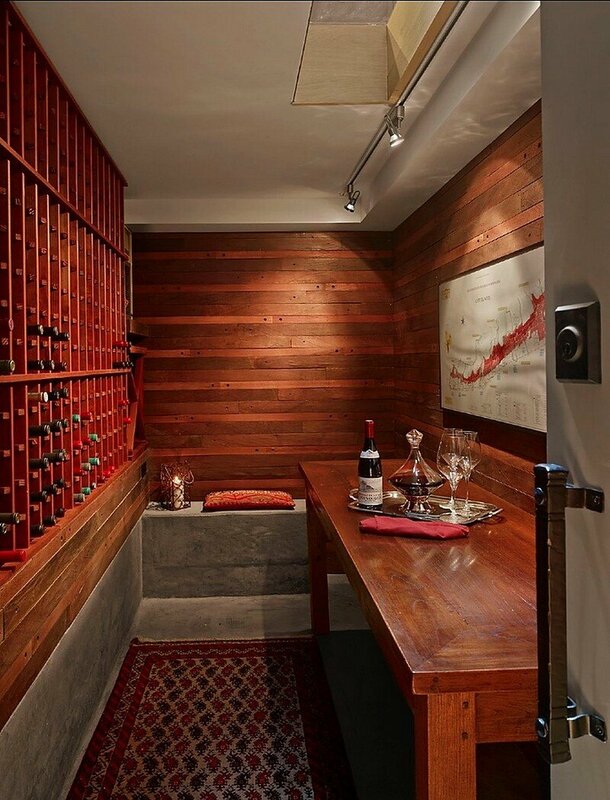 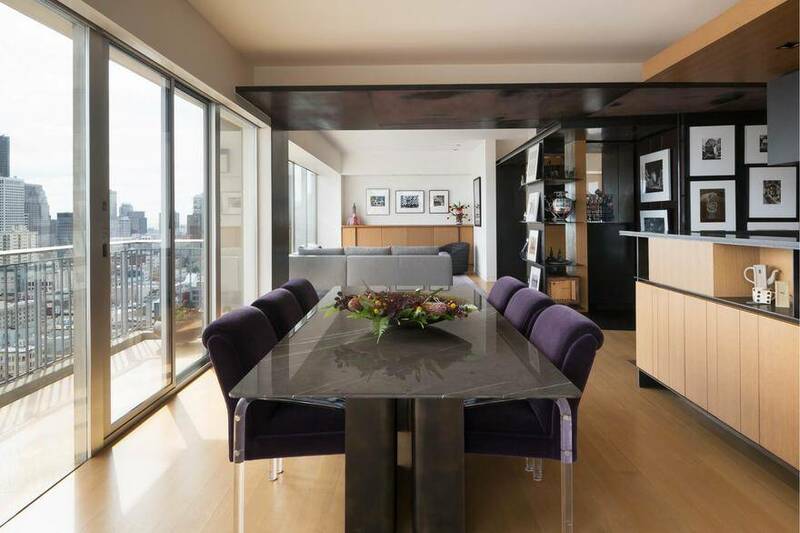 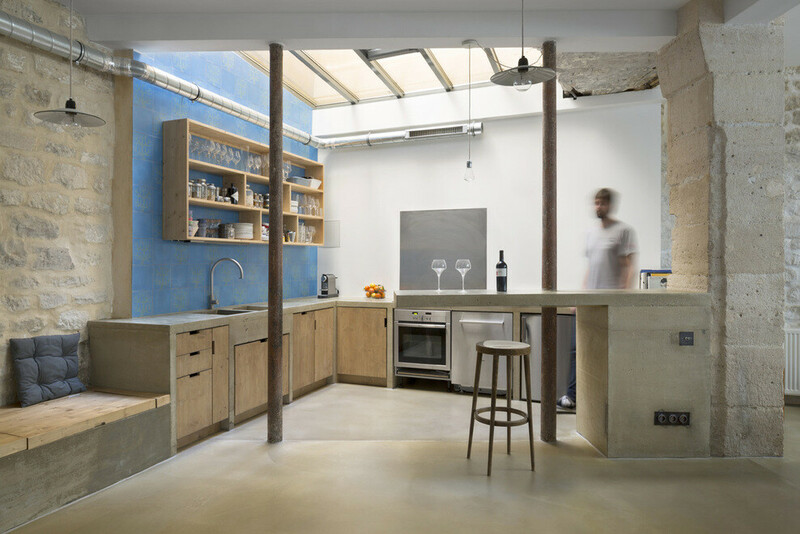 In the kitchen, custom oak cabinets wrap around a marble and stainless steel island with a section of glass floor revealing a wine cellar below. 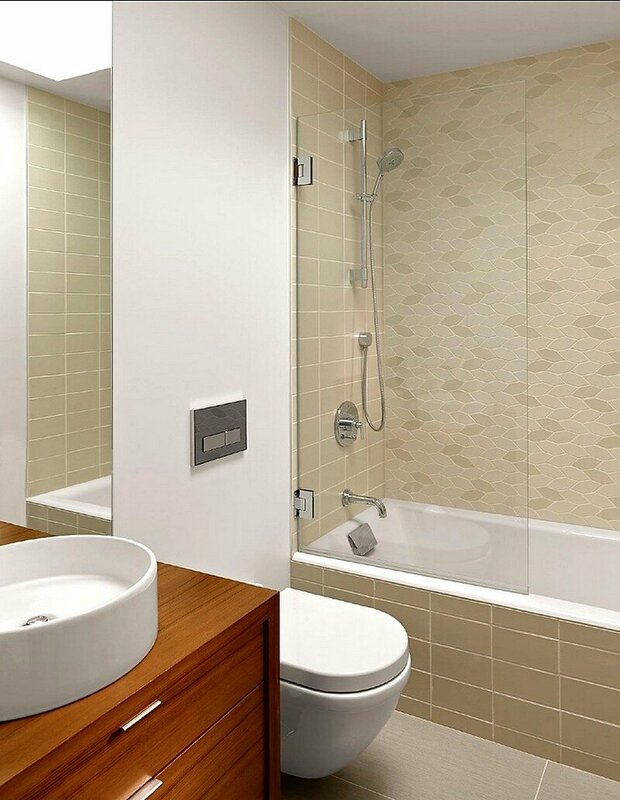 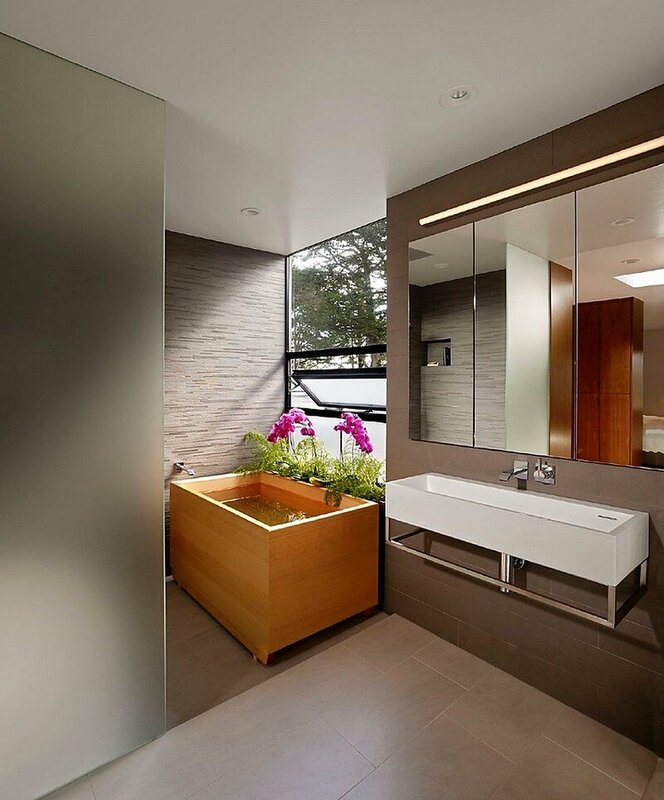 A small bath and closet combined to become a spa bathroom with Japanese soaking tub.